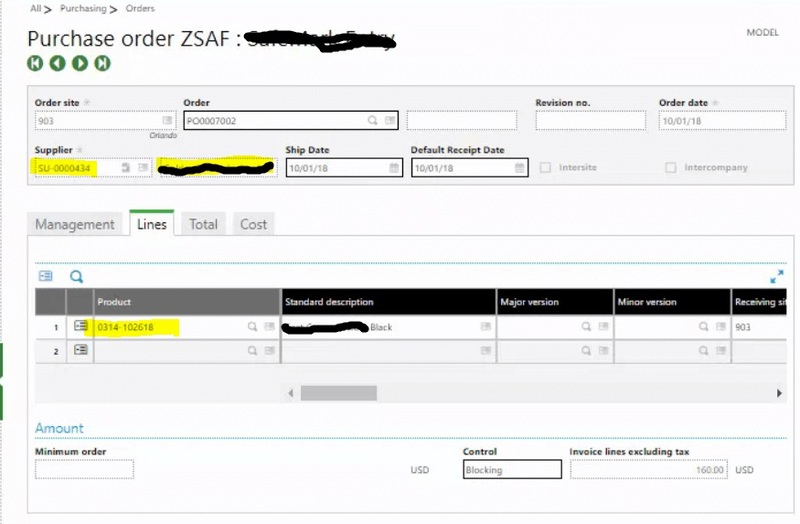 In Sage Enterprise Management (SEM/X3) you can create a Back-to-Back Order where a Purchase Order is created directly from a Sales Order. 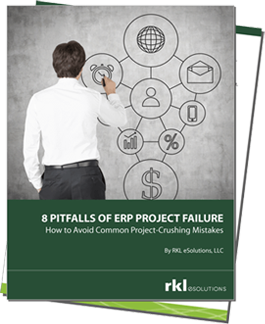 Have you ever had the problem or wondered what to do if you have multiple Suppliers that you use for the product and will need to use different Suppliers for certain Back-to-Back Orders? You can actually set the Supplier to be chosen by Priority. Sage EM/X3 will pick the supplier with the priority closest to 0, in this case, the second on the list, also note that any Supplier that you want to use for Back-to-Back Orders must have the Back-to-Back box checked. 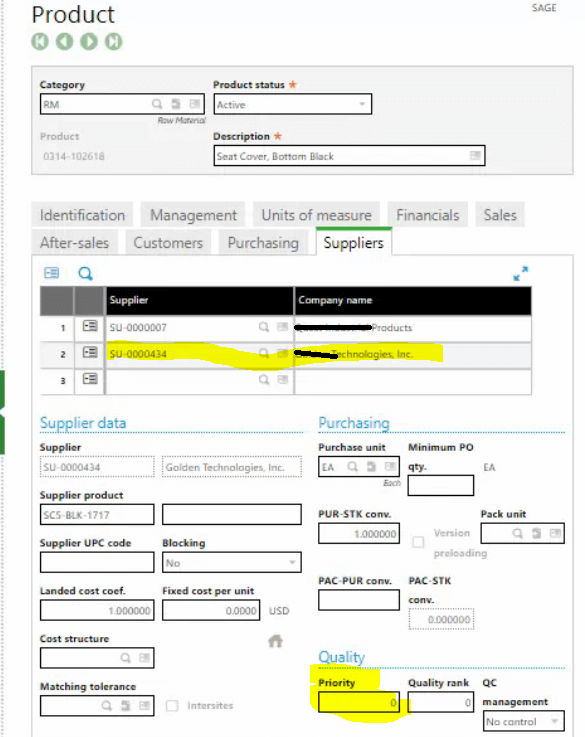 Example: Second Supplier in list on the Supplier tab of the product. 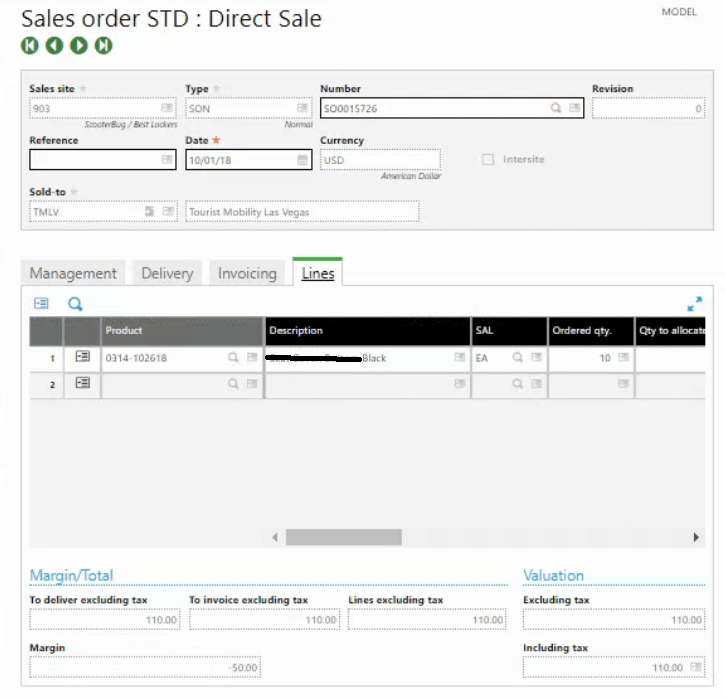 Create a Back-to-Back Sales Order. The Sales Order creates a Purchase Order which uses the 2nd Supplier in the list. 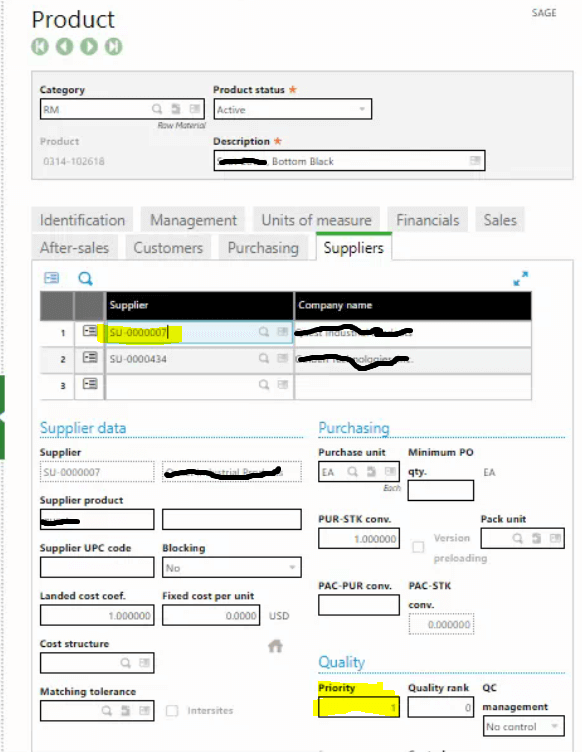 So this is how to choose the Supplier you want on your Back-to-Back Order just by changing the priority on the Supplier tab of the Product record. Now you know how to prioritize suppliers. ➥ Read More Sage Enterprise Management blogs!